Almost every client these days wants their website to look good across all devices, and why shouldn't they! 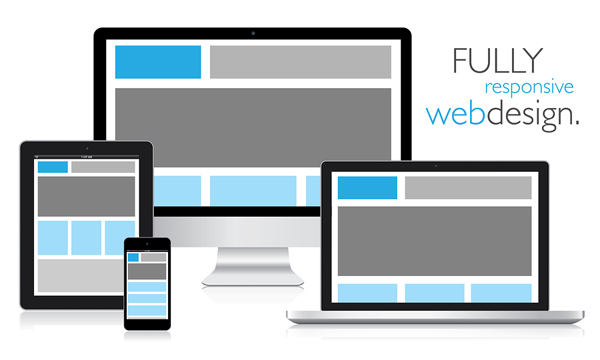 Its' practically essential to be able to cover all different devices with your design and web framework. The trouble is, where is it all going to end? The answer is, probably, that it won't - new devices will continue to be developed and sold - impossible for web designers and developers to make a different site for each device. Responsive web design suggests that the website performs in the environment that it is requested whether it be a Blackberry, Laptop or Ipad. The practice involves a series of flexible grids and CSS media queries. Responsive Web design is predominantly about adjustable screen resolutions and automatically resizable images but it leads us to think about design in a whole new way. It is beyond the scope of this page to go into too much detail but, suffice to say, if you’d like to learn more please give us a call or send us an email!